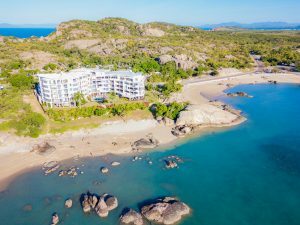 Travelling to this region is easy, from the east coast capital cities of Australia you can fly directly to Proserpine Airport which is just a short 30 minute drive to Airlie Beach with plenty of transfer options available to suit every budget. I chose to travel with Whitsundays 2 Everywhere. Reasonably priced and providing comfortable personalised service you are met at the airport terminal and transferred right to the door of your accommodation. 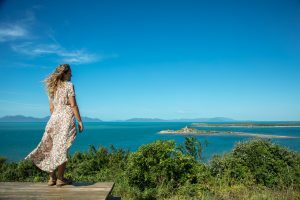 I’ve travelled to the Whitsundays more times than I can remember – I was even married at the cute little white weatherboard chapel on Hamilton Island and for the last 3 years, I’ve visited in May/June which has now become one of my favourite times of year to visit. The water is still a warm 27 degrees Celsius, with daytime temperatures in the mid to high 20s and light winds, it’s ideal. The other bonus is, the crowds seem less so you can really experience the region without battling tourists or having to book activities miles in advance. For this trip, it’s all about getting off the more popular tourist routes, discovering some of the “hidden gems” of the region. Of course, if you’ve never been, Whitehaven and Hill inlet are a must visit. 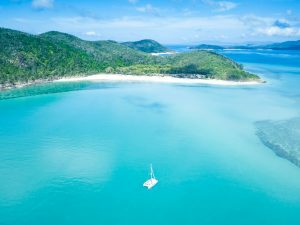 The pure white silica sands and crystal waters of Whitehaven beach are out of this world, a bucket list must, but I wanted to explore what else the region has to offer. There’s plenty of day tours available with various boat companies, but when you only have a day, it’s difficult to go too far, and the tour boats are pretty set in their itineraries. 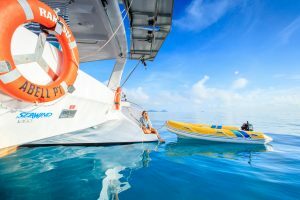 The truly best way to voyage around the Whitsunday Islands is by private boat and thankfully, if you don’t have a 50 foot yacht at your disposal, there’s the fantastic option of “bare boating” where you can charter your own luxury private catamaran and take off exploring after a short 3 hour famil from one of the staff. I chose to travel with Dream Yacht Charters based in Airlie Beach. Their boats are all relatively new, really modern and great value. The 4 birth boats will comfortably sleep 8 people and once you have stocked up on food, you have everything on board to take off exploring. With a few days aboard, we were able to travel to beaches and islands that are completely uninhabited and be the only boat around for miles. No phone or internet service, it’s like being totally disconnected from reality, lazing your days away island hopping, swimming and snorkelling the reefs. I can’t begin to explain how relaxing this is. 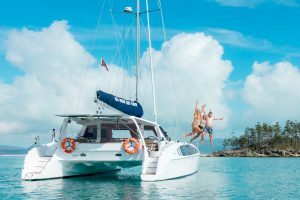 On the last morning, when it was time to sail back towards Airlie Beach, it was with a sense of reluctance, all of us not wanting the adventure to end. (Secretly we are all already planning our sailing adventure for May 2019!). Bare boating is honestly one of the most incredible holidays you can have. Access to a million dollar boat and being your own skipper, whether you are a capable sailor or not, this is an experience anyone can master and with so many islands and hidden coves, no matter the conditions there is always somewhere you can moor into for protection from the weather. After a trip away boating, it’s nice to ease back into reality with a few days hanging out in Airlie Beach. It’s a small town with a very transient feel to it with all the backpackers and tourists. A beautiful bay and foreshore shadowed by a hill overlooking the islands, it’s somewhere you can pretty much walk everywhere. With a marina at one end connected to the lagoon at the other end by a boardwalk, strolling around Airlie Beach there are cute little boutiques, cafes, bars and restaurants as well as the Saturday Markets to keep you entertained. 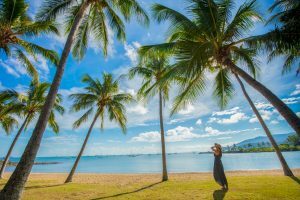 Airlie beach is known for its great nightlife, probably due to all the tourists and backpackers, but it’s also great for families with the lagoon offering a sheltered pool for youngsters and lifeguards for peace of mind. 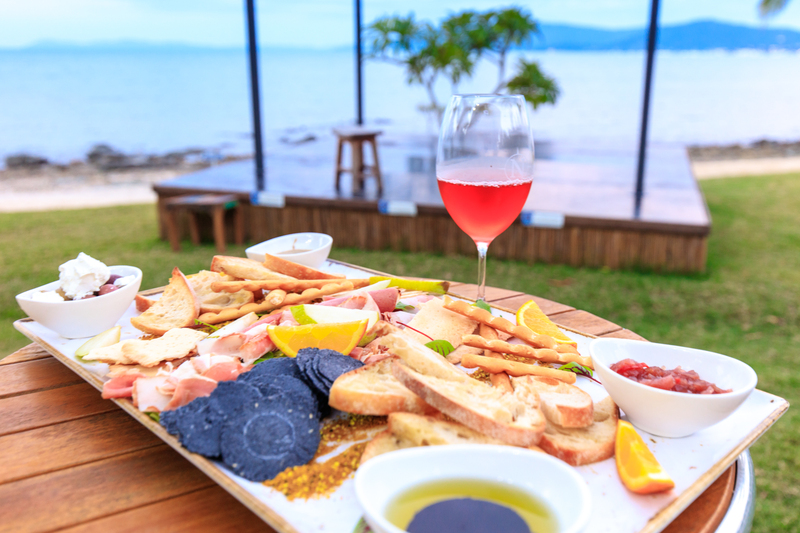 Surprisingly for a small north Queensland town, Airlie Beach hosts some fabulous restaurants. Just out of town is one of my favourites, Northerlies Beach Bar and Grill. Partly due to the casual atmosphere and scrumptious dining, but mostly for its incredible location on a palm tree lined cove looking back over Airlie Beach. It’s a perfect place to watch the sun set whilst sipping one their famous Mango Weiss Cocktails. Other popular eateries are Hemingways overlooking Abell Point Marina. The stylish design and creative menu have awarded it a well deserved Chefs Hat honour from the Australian Good Food Guide and at the other end of town, Walters Lounge has a similar atmosphere with a delicious menu best enjoyed tapas style. Lastly, for some really fresh amazing, local seafood you can’t go past Fish D’Vine. Whether it be eat-in or takeaway, this is the one place I always stop by when I’m in town. Also famous for its Rum Bar and refreshing mojitos. 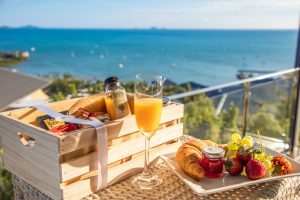 Accommodation in Airlie Beach is anything from budget Van Parks such as Discovery Parks Airlie Beach and Big 4 Arlie Cove, to five star venues at Mirage Whitsundays, Coral Sea Resort and the Heart Hotel being some of my favourites. More recently on my travels, I’ve been choosing to stay in luxury style homes. 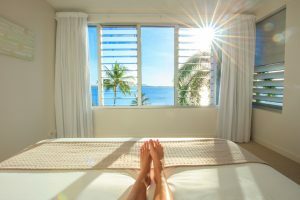 Firstly, they feature all the comforts of being at home, and when traveling with my family, there’s plenty of space, privacy and it ends up being great value. Accom Whitsundays have a huge range of properties from Airlie Beach to Hamilton Island as well as nearby rural areas and treated me to a beautiful modern home perched high on the hill overlooking the township of Airlie Beach and the Whitsunday Islands beyond. Relaxed and refreshed with cameras charged and ready to hit the road again, final stop on this hidden gems tour is Bowen. Just a short 40 minute drive up the highway north from Airlie Beach this is one of the best kept secrets of the region! 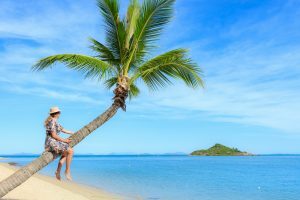 You may have heard it mentioned as the location for the 2008 filming of the hit Hollywood Movie “Australia” starring Nicole Kidman and Hugh Jackman, but as far as a bucket list, tropical holiday destination, it’s not really high on many people’s list. Yet the region of Bowen is breathtakingly stunning. In contrast to Airlie beach, there are no crowds or tourists bustling for adventures and activities. It’s a sleepy town with the most incredible crystal clear waters and fringing reefs. The beaches are a series of tiny coves, lined with palm trees in the plenty and not a crowd in sight. It’s hard to believe this town is not overrun with tourists, yet for some reason, it’s not overly well known. 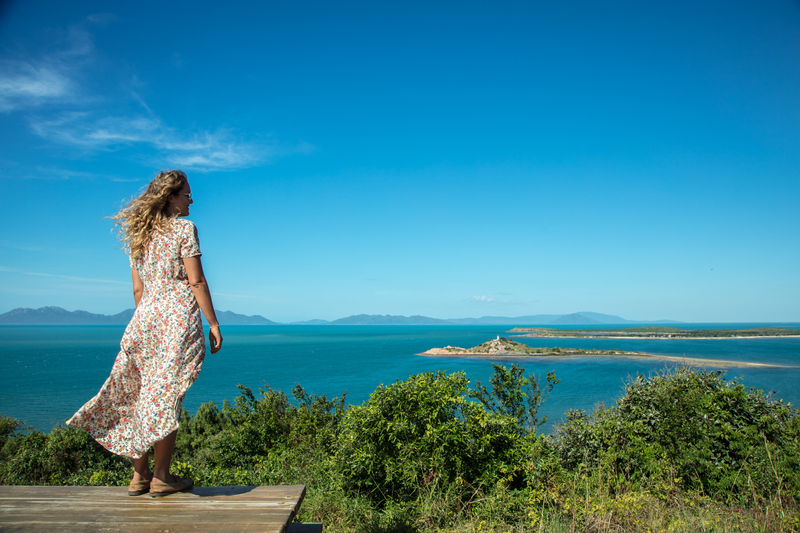 For me, having visited the Whitsunday region so many times in the past, this is my first visit to Bowen and it most certainly won’t be my last. I’m blown away that it’s not more popular, but I guess one of the appeals is it’s not over commercialised as so many places become. There’s something pretty special about Bowen and I’ve been trying to work out what it is. The only way I can describe it is “nothing” – as in, the silence. Sitting on my hotel balcony over looking Lions Park and Grays beach there is no sound other than the gentle lapping of the water on the beach below. I’m a city girl, so I’m used to sirens, boat noise on the canal outside my house, traffic etc. so you really notice the peace of this area, and I love it. 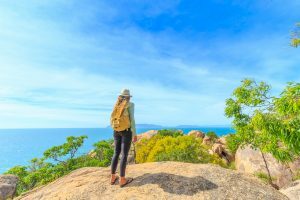 There is not an abundance of tour operators or activities on offer in Bowen, however for most people, leading their busy day to day lives, the ideal holiday is parked on a white sandy beach, with a cold drink and the warm sun. 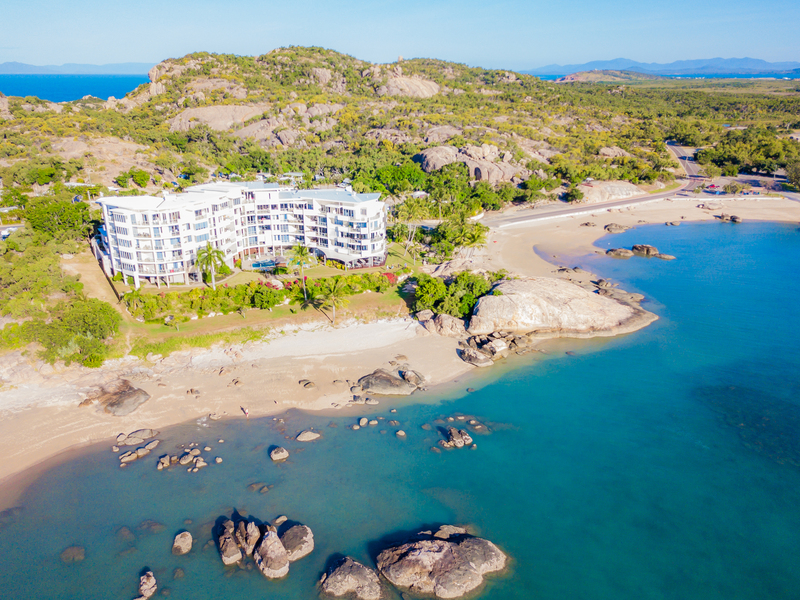 One of the great benefits of a location like Bowen is it’s relatively easy to get to, direct flights from all the eastern capital cities straight to Proserpine, and then a short drive up the highway, but the real attraction is you are treated to a million dollar tropical island style holiday for a fraction of the price. Being a smaller regional location that flies under the radar, prices are really appealing to the budget traveller. There is everything from a Big 4 Holiday Parks to luxury beachside apartments such as Coral Cove or Rose Bay Resort, all to suit any budget. First stop on a trip to Bowen is deciding which beach to land your towel. 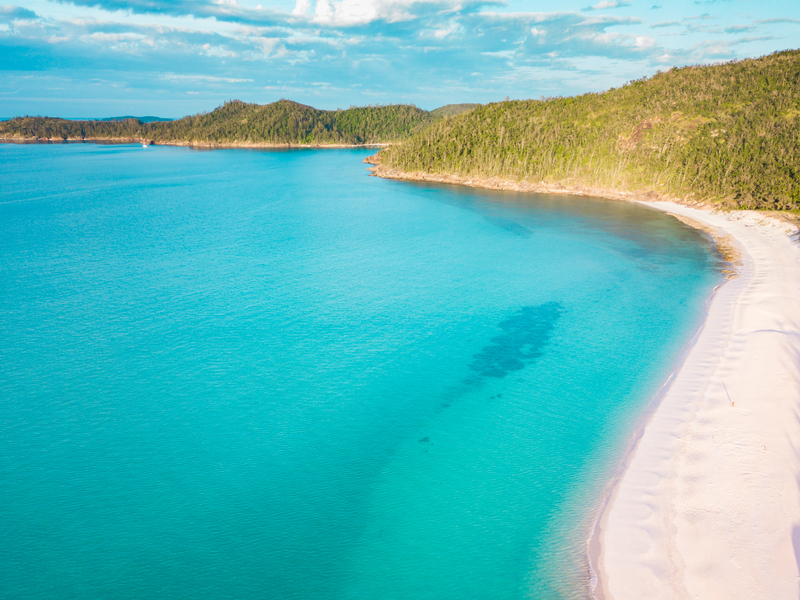 It’s one of the only places in the Whitsundays with fringing reef, meaning you can literally snorkel straight off the beach and be exploring the beautiful corals and fish of the Great Barrier Reef. 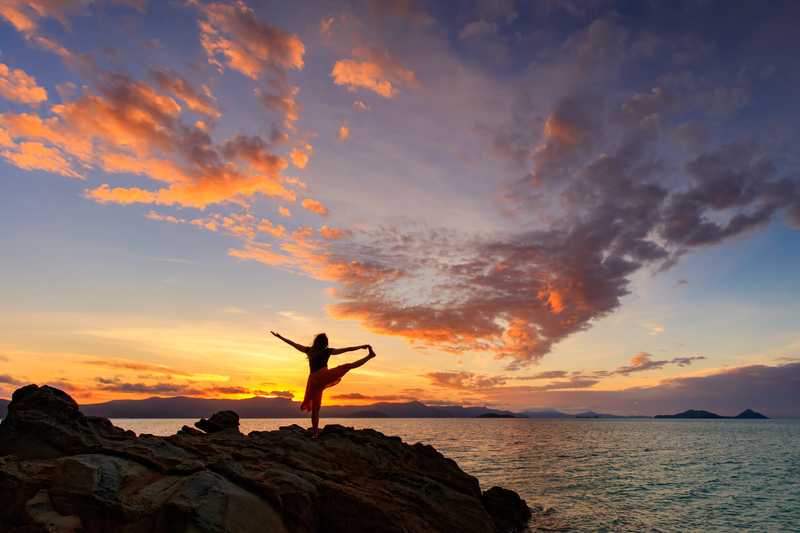 There are predominately eight beaches in Bowen to choose from – probably the busiest being Horseshoe Bay. 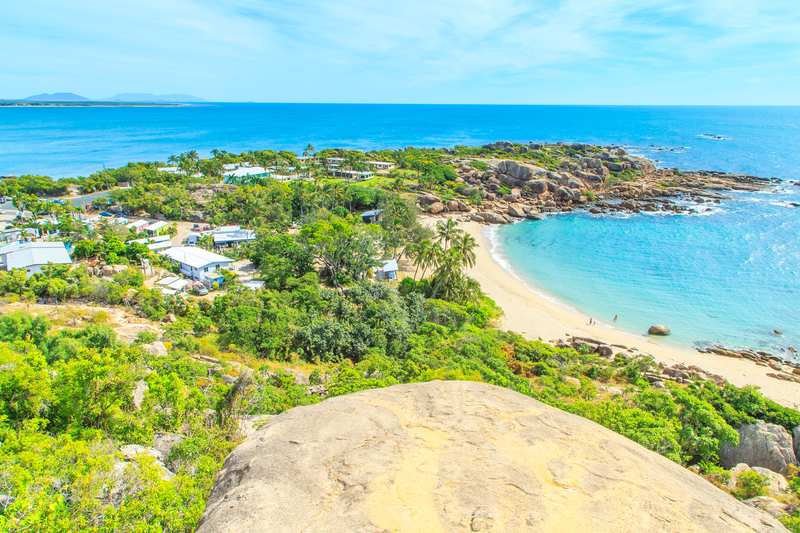 With enormous granite boulders protecting the beach and a breezy café, you can see why this is one of Bowen’s most popular beaches. In contrast, Murrays Beach and Rose Bay are protected and just as beautiful, with the added bonus of being less popular. 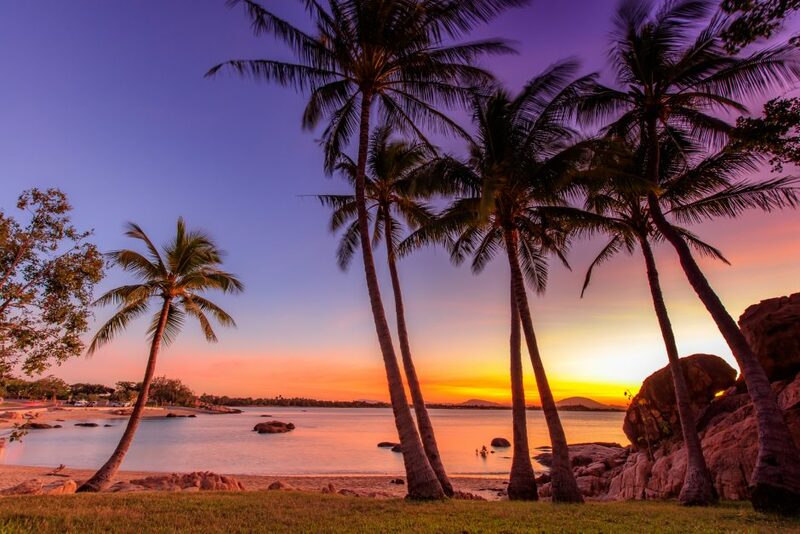 Incredible views from Rose Bay over to Gloucester Island and loaded with palm trees, this picturesque beach is a must visit for sunrise. Once you’ve finished lazing your day on the beach, and wanting to explore the beaches a bit more, there is an abundance of coastal walks that take in the breathtaking views whilst giving you a first hand perspective of the area, including some that are both wheelchair and pram friendly. A favourite of course is the 2.6 km track from Hanson Park to Horseshoe Bay, with arguably the most picturesque beaches. Not forgetting a drive up to Flagstaff Hill which offers the best views of the region and out to the islands. Just off the mainland of Bowen is a tiny island – North Head Reef, which is home to one of Queensland’s oldest lighthouses. In the cooler months in Bowen (relatively speaking – it never gets really cold up here), with the winter low tides, the island is connected to the mainland by a sandbar. 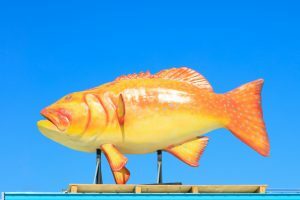 The town of Bowen comes out once a year in August for the “Walk to the Lighthouse” festival which is literally that. The locals and tourists alike, fitted with reef shoes, take the walk out to the lighthouse via shallow waters, passing the famous giant red starfish. It’s a great fun community day out. As with Airlie Beach, I’m blown away that Bowen is home to some amazing eateries. Not at all what some would expect from a county town where you would think ordering a decent coffee could be a struggle. The local pub – The Grand View Hotel, has been family owned since 1919. This old Queenslander Style building has undergone major renovations to be a modern, stylish venue that still acknowledges it’s heritage boasting every wall filled with pictures and memorabilia. As far as the food, the chefs use fresh local produce to create modern, sophisticated meals. A must visit. 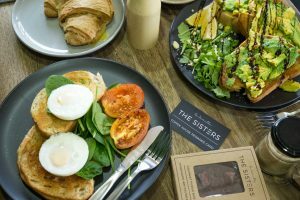 For breakfast and lunch, three local sisters have created a warm, friendly café around a florist shop at Le Sorelle Coffee House, even producing their own decedent homemade fudge. The food would rival any trendy Sydney or Melbourne establishment and the atmosphere has that big country welcome feel to it. 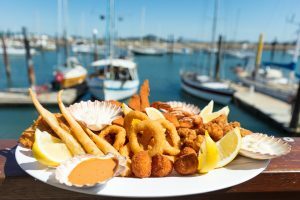 A final must try is Birds Fish Bar at the Marina. 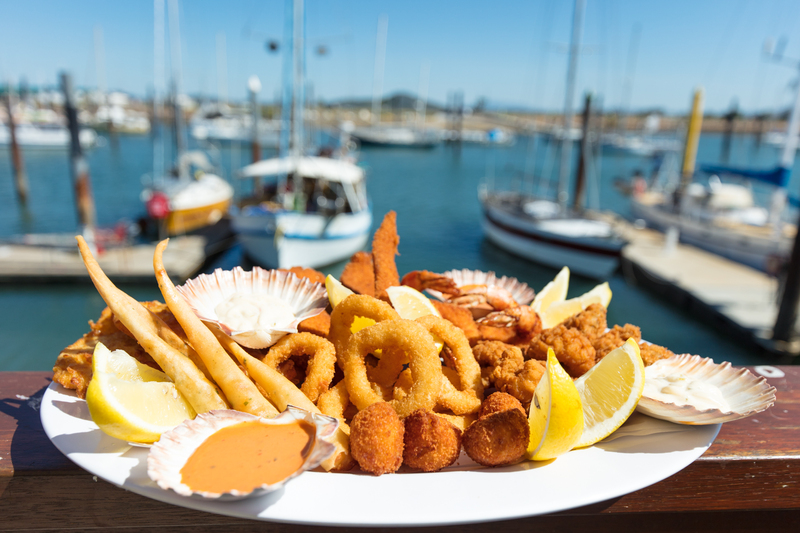 Serving only the absolute freshest seafood, sit outside by the marina and enjoy one of their seafood platters with the best of everything. They’re not licenced, but you are welcome to take along your own beer or wine to complete the meal. 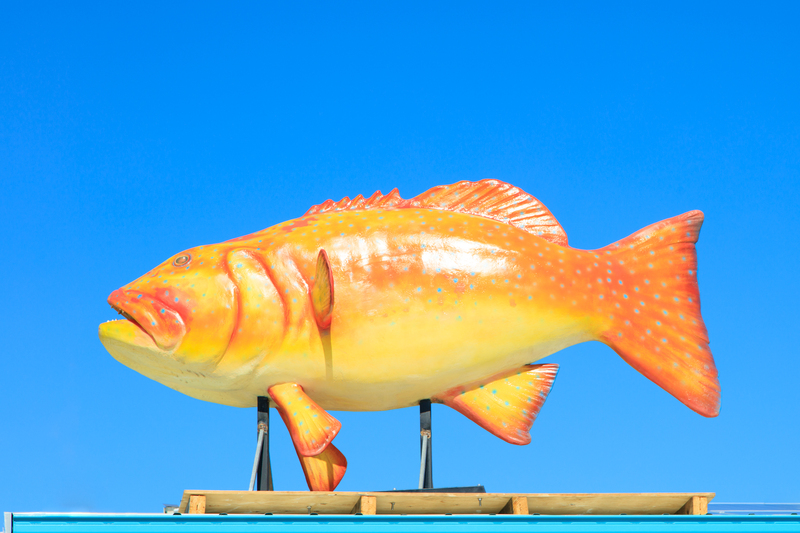 They even have the most “Instagramable” giant coral trout on the roof of the entrance that I imagine will become a tourism icon of the town in future years! Finally, it’s so cliché, but any stop to Bowen must include a visit to the Big Mango for a selfie. After all, it’s an Australian tradition going back to our parent’s generation! While there, why not try the most delicious Mango sorbet pretty much made up of pureed frozen local mango. If all of the above is not enough to have you racing to book your flights, Bowen boasts some of the only beaches on the East Coast of Australia where you can watch the sun both rise and set over the ocean. Beaches lined with palm trees, backed by skies of rich gold tones transforming to vibrant pinks as the light changes are breathtaking. 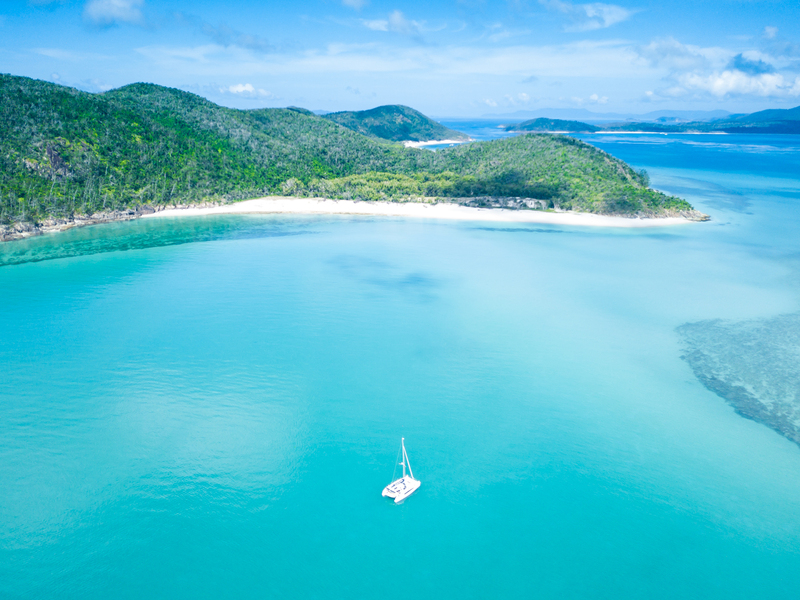 Whilst the southern states of Australia are freezing their tails off, the Whitsundays are enjoying calm, warm winter sunshine which makes this the perfect time of year to organise and short (or long) getaway to discover this Whitsunday Paradise. For more information or pictures, go to Instagram or Facebook Jules Ingall Photography or Tourism Whitsundays.